Fuel for outdoor use and electric for indoor use. There is a power pack for every occasion and every need. 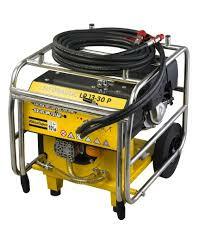 The Atlas Copco LP 13-30 power pack is available in Ithaca NY, Rochester NY, and Upstate NY from the Duke Company.